When we announced that Comcast had become the nation’s largest provider of gigabit-speed broadband service in Oct. 2018, it marked the completion of the fastest roll out of gigabit speeds to the most homes (nearly 58 million) in the country. However, we knew that faster speeds would only be a crucial first step. With the infrastructure in place, we anticipated the needs of our customers would go beyond speed to include better WiFi coverage and better controls. So, we also built xFi, which is our platform to deliver the best WiFi experience possible. Why? Coverage: High-speed internet is great for the evolving smart home ecosystem it powers, but only if your WiFi network reaches all of your devices. Control: How do you enjoy the benefits of an optimal internet connection without a simple user interface or a feeling of security about the integrity of your network? That’s why we’ve moved our focus beyond raw speeds to deliver the best overall internet experience. What does the most innovative internet offering look like in 2019? Our most recent announcements illustrate Comcast’s vision. Comcast debuted Xfinity xFi Advanced Security in January. 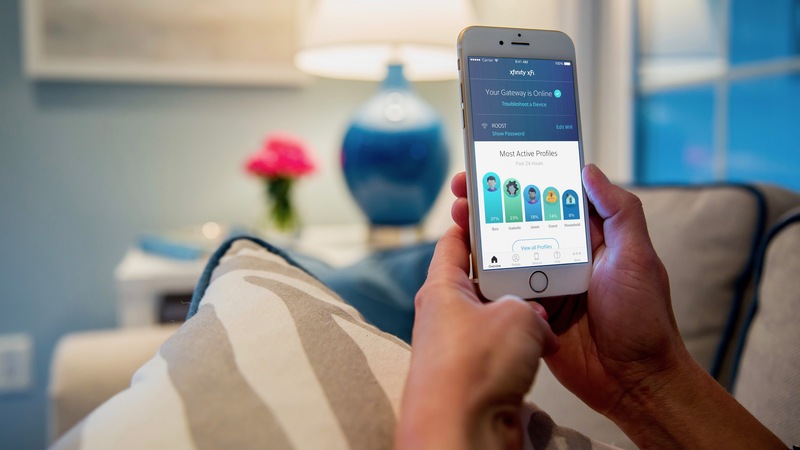 The new service is powered by artificial intelligence, and it monitors, blocks and informs customers of online threats to connected devices, providing seamless digital protection of the home WiFi network. Using a simple, intuitive user interface, the technology informs customers of blocked threats and, when necessary, provides instructions on how to secure affected devices. The xFi Advanced Gateway (XB6), a 1 Gbps-speed ready device. xFi Advanced Security, referenced above. A Home WiFi Assessment to optimize WiFi performance in the home, including a WiFi coverage assessment to determine whether or not a home could use xFi Pods. All of this innovation demonstrates our commitment to providing the best internet service and overall experience to our customers. That’s why all of us at Comcast are proud to be part of this pivotal moment for our industry. Now, we’re giving customers more speed, more coverage, and more control over one of the most important technologies in their lives: their home WiFi network.